These guys got thrown to the wolves during the 95' season, and it was the toughness forged in that fire that helped get us through. The final record will not do this group justice in the history books. 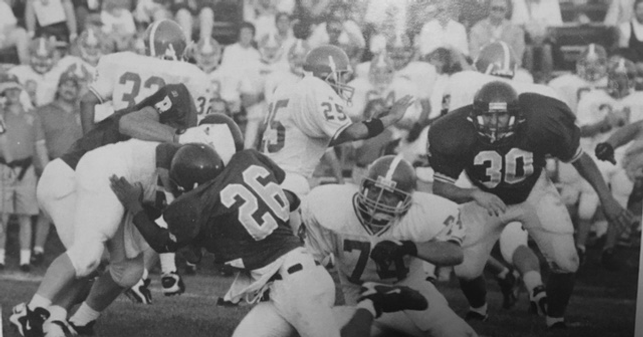 The 1996 season marked a turning point for the Aviators football program. In spite of a 3-7-0 record, it was apparent to anyone around the program that there was a culture shift and pieces were beginning to fall into place for sustained success. Not only would the season mark the last time that coach Steve Pelfrey would post a losing record, it was also the first time in which the Aviators had beaten the rival Northmont Thunderbolts in ten years. 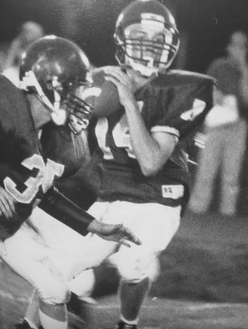 Junior quarterback Jeff Bardonaro led the Aviators in what was a senior heavy group. Butler captains were seniors Matt Jones and Dan Dixon. Four of Butler's loses were by 10-points or less, showing a vast improvement from the previous two years that saw Butler go 2-8 and 1-9.